If your looking to change the look and feel of your home one way to make a drastic change is to change the roofing material that is used on your home’s roof. There are many different types of roofing materials and types of roofs available today in the Troy Michigan area. Hiring a roofing contractors in Troy Michigan to install a new roof on your home means you’ll need to know what type of roof you’ll get installed. 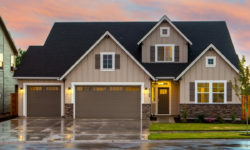 Although some of the retrofits for each roof can vary dramatically having a qualified roofing professional can help you and discuss any potential problems you may encounter when changing the types of roof you have on your home. The most common and considered the best roofing material available today is asphalt shingles. They are made using a process which makes the shingles very strong and also flexible which can help to ward off damage. The warranty on asphalt shingles typically depend on what quality asphalt shingle you purchase but can run from 15 years to over 50 years with some brands even having a lifetime warranty on the shingles. Here at Home Pros Michigan we recommend asphalt shingle roof types more than any other type simply because they can protect your home the best, require less maintenance than other forms of roofing, and they are typically less expensive than other roof materials. Another type of roofing that is gaining popularity here in Troy Michigan is the metal roofing material. Sheets of metal are placed on the roof and then fasteners are used to secure the metal to the roof. Many times metal roofing can be placed directly on top of the old roof such as with asphalt shingle re-roofing. Metal roofing comes in all sorts of styles and colors to choose from. Although the price has come down in the last decade or so the price is still slightly higher than their asphalt shingle counterparts. One of the common problems that home owners experience with metal roofing is objects hitting the roof and puncturing the metal. 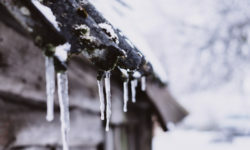 Items like tree branches and such can magnify this risk and you may need to remove trees from over hanging the roof for safety. Roofing types that are not so common on residential homes is roll roofing or flat roofing. These types of roofs are more aimed at commercial buildings which have longer spans in the roof where pitched roofs simply aren’t practical. There are some homes in the Troy Michigan area where we have installed roll roofing and we would be glad to help you with your flat roof or rolled roof. Although the above mentioned roofing materials will cover 95% of the roofing materials used in Troy Michigan there are a few that aren’t listed. Roofing materials such as tile roofing can be used but are much less common. No matter what style or roofing material your home has the roofing experts at Troy Roofing Pros can install your new roof! 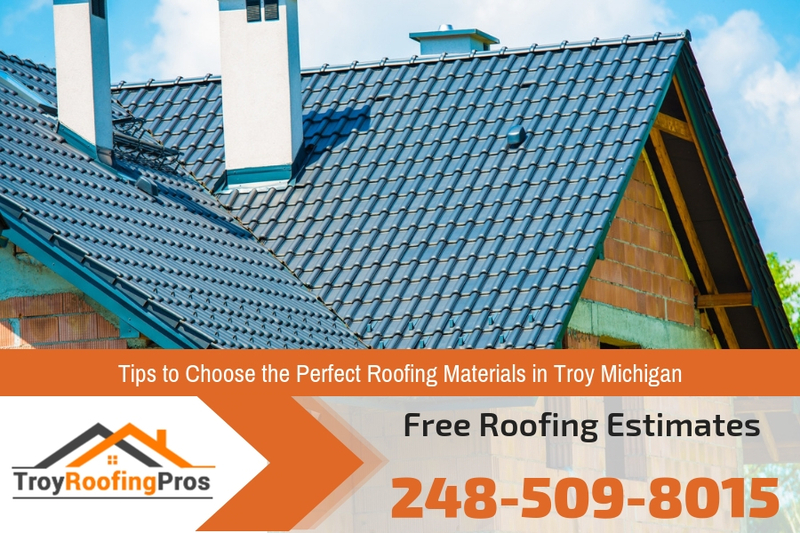 At Troy Roofing Pros they have over 20 years of experience with all sorts and roof types in Troy Michigan. They are the best roofing contractor in Troy Michigan and would love to speak with you about your roofing needs. Be sure to contact us today to get a free estimate on replacing your roof in Troy Michigan.